I had the pleasure of getting in a Saturday morning workout at Exhale Spa. 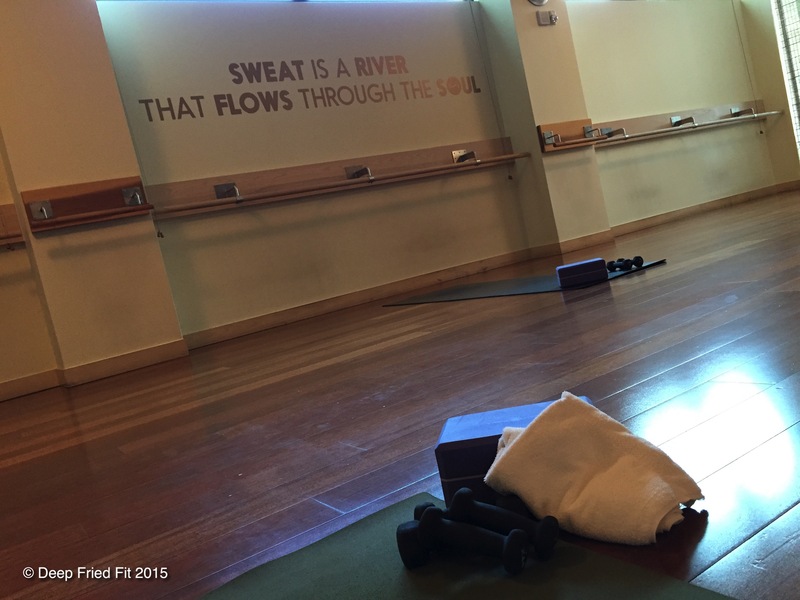 I’ve only been a handful of times to the gorgeous fitness studio and spa and this weekend I decided to try the Core Fusion Cardio + Barre class. The Class: In a previous review for Core Fusion Extreme, I learned about the core fusion classes. The classes are HIIT or high intensity interval training. 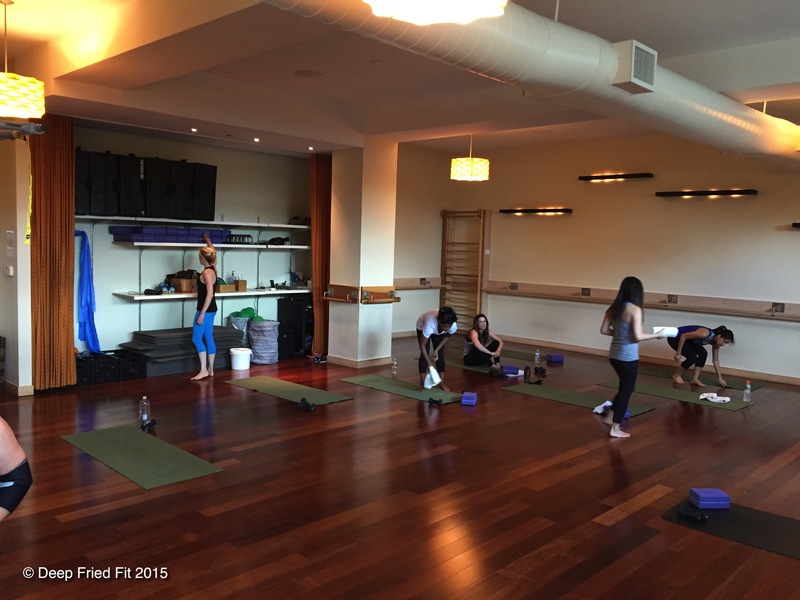 For this class, it included a really fun mix of fast paced movements, yoga, and barre. The class didn’t require shoes and we started by grabbing mats, a block, and a set of weights. I decided to get myself a heavy and light set of weights. For the first 30 minutes, we did a quick warm up and then fast paced movements like step ups, squats, lunges, and more. Kristen, who teaches the class, also incorporated some boxing moves into the cardio part to the class too which I really liked. For the barre portion, we quickly put our weights and block away and grabbed a resistance band and a new mat and set up alongside the walls. We went through a quick set of your usual barre movements and concluded with ab work and stretches. The Instructor: Kristen definitely pushes you to keep going, fight through each set and not give up. She has a ton of energy and does a good job demonstrating and leading the class. She’s also working out with you throughout the class. Loved: I really loved the cardio portion of the class and the mix of yoga, traditional exercises and boxing. The word cardio is something I associate with being boring and this was actually pretty fun for me. Definitely a great cardio workout. Feedback: I wasn’t a fan of the barre section simply because the room didn’t have mirrors. I totally understand their reasoning for removing mirrors in regards to the other classes. They don’t want guests to worry about what other people are doing or how they think they look, but specifically for barre, it’s hard to follow instructions when you can’t really see the instructor demonstrate. Having to stop and turn around to see what’s going on is distracting. The Next Day: Definitely felt a mild soreness all over. Barre did it’s job and gave me the shakes! Difficulty Level: I think every fitness level should try this class. I love that it’s two classes in one. And even though it is a bit fast pace, it’s a challenging class and great one for conditioning. FYI/Costs/Parking: You can bring barre socks, but you don’t really need them. Definitely bring a bottle of water. Towels and mats are complimentary. I do hope they fix the self-park garage entrance. That sucker did not open at all. Fortunately, valet is complimentary when you validate it at the front desk. 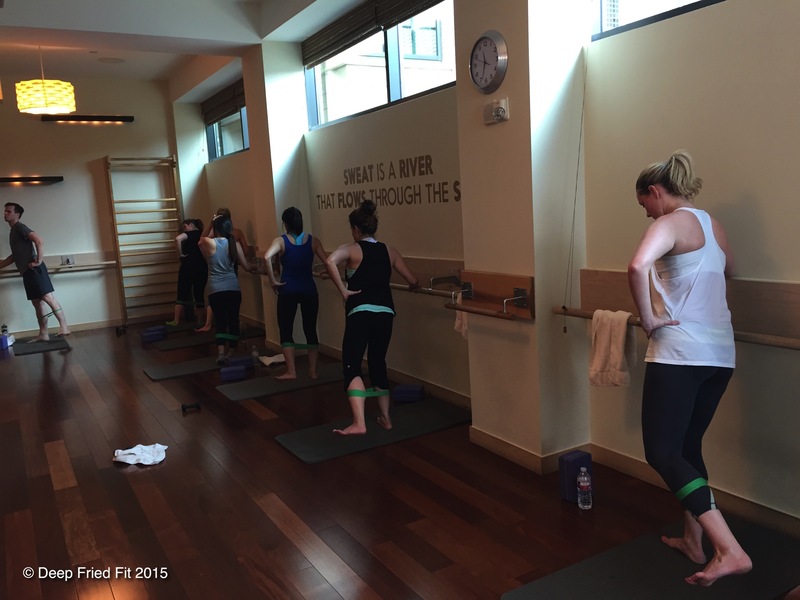 The Takeaway: The fusion of cardio and barre is really awesome. I’ve always thought classes like barre and Pilates, while they target and challenge your muscles, don’t really get your heart rate up there. Including the cardio in the beginning of the class, makes the hour much more efficient. 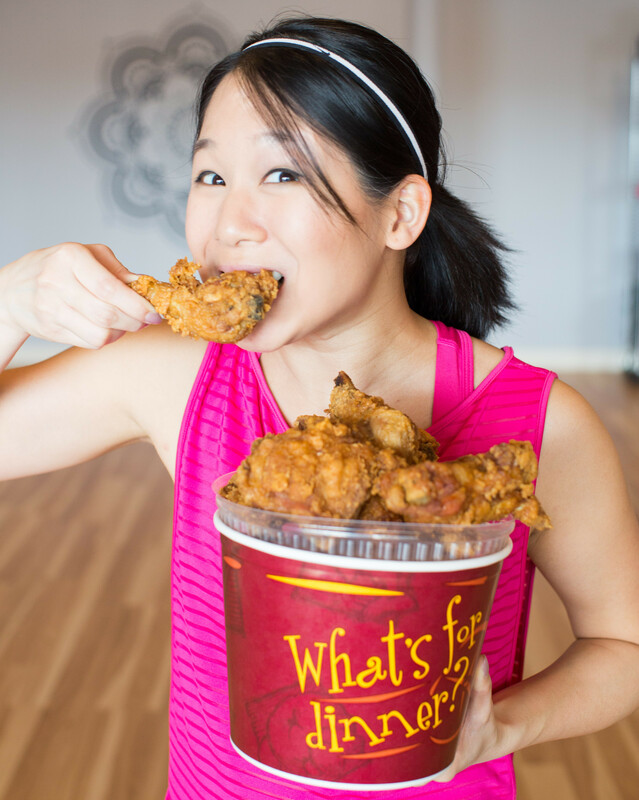 In order to review this class, Deep Fried Fit attended a complimentary class. All opinions expressed are her own.